I don’t bake. Or I mean I do bake…but not very successfully. I also don’t understand new technology very well and I am not very good at being patient. But these three things that I don’t do very well, my husband does wonderfully. Kind of great how that works out, right? Justin can bake like no man I’ve ever seen. And he does it proudly too. 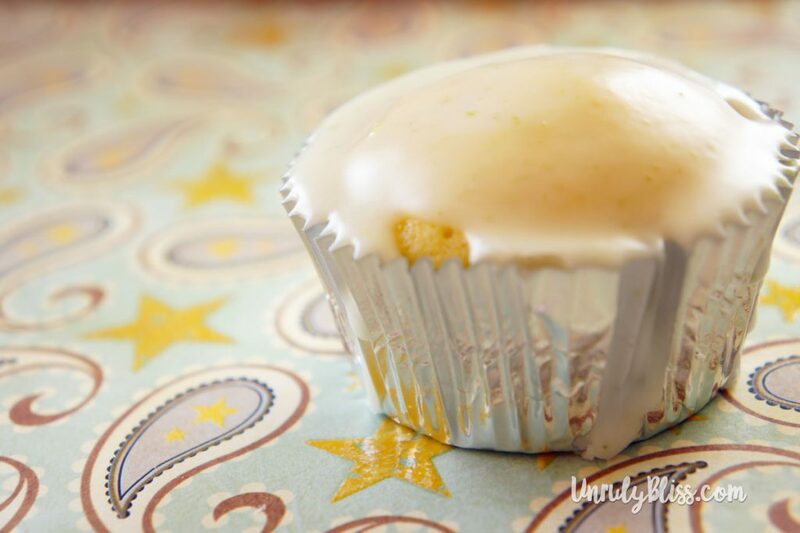 Lately I’ve been begging him to make some Martha Stewart cupcakes and he so lovingly obliged…this Triple-Citrus Cupcake with a Citrus Glaze on top is DEVINE! It’s taken directly from Martha Stewart’s Cupcakes: 175 Inspired Ideas for Everyone’s Favorite Treat. Every cupcake we’ve made from this book has been delicious! With an electric mixer on medium-high speed, cream butter and sugar until pale and fluffy, scraping down sides of bowl every few minutes. Add citrus zests. Reduce speed to medium, and add vanilla. Add eggs, three at a time, beating until until incorporated, scraping down sides of bowl as needed. Reduce speed to low. Add flour mixture in four batches, beating until completely incorporated after each. Divide batter evenly among lined cups, filling each three-quarters full; tap pans on countertop once to distribute batter. Bake, rotating tins halfway through, until a cake tester inserted in centers comes out clean, about 20 minutes. 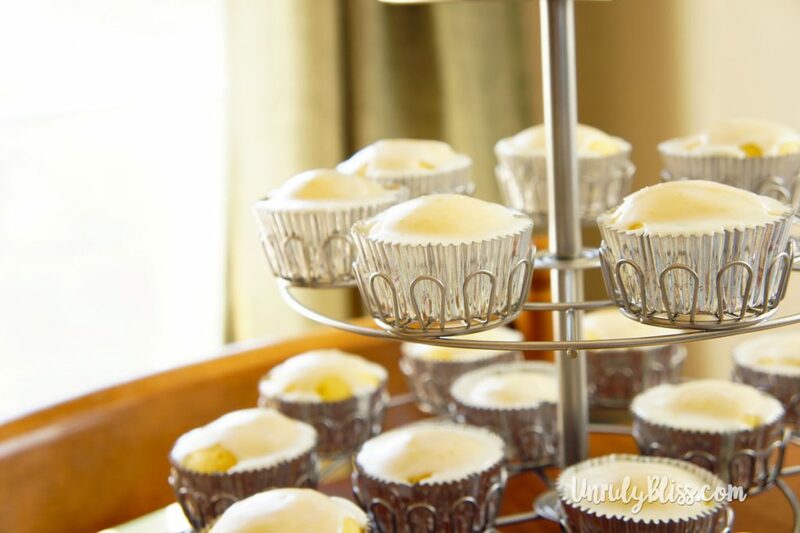 Transfer tins to wire racks to cool 10 minutes; turn out cupcakes onto racks and let cool completely. Cupcakes can be stored up to 2 days at room temperature, or frozen up to 2 months, in airtight containers. 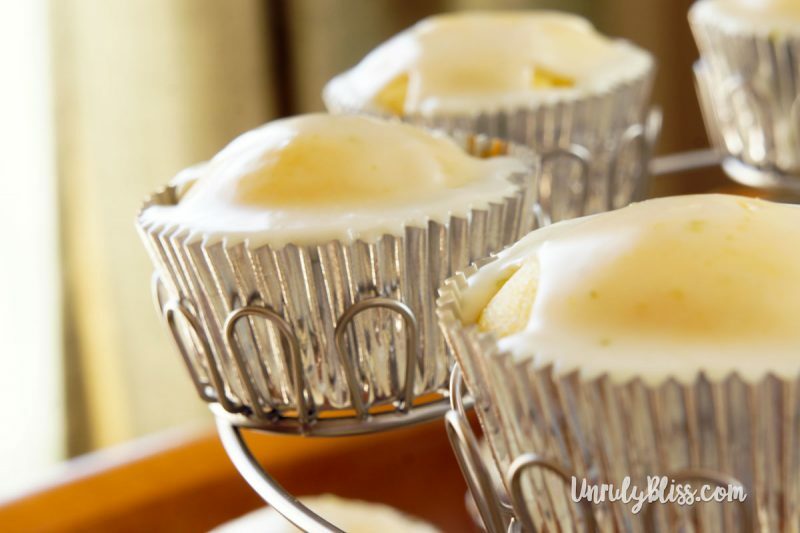 To finish, dip tops of cupcakes in glaze, then turn over quickly and garnish with zest. Cupcakes are best eaten the day they are glazed; keep at room temperature until ready to serve. Whisk all ingredients until smooth and combined. Use immediately. *For a particularly pretty display, divide the glaze into thirds and flavor each portion with a different citrus, with garnishes to match.